MOSCOW, June 30. /TASS/. A source in the Russian defense industry told TASS on June 29, 2018 that the D-30 missile system with the R-30 Bulava intercontinental ballistic missile had been accepted for service in the Russian Navy after its successful tests in 2018. Soviet and Russian researchers had been carrying out R&D work to create a ballistic missile for 4th-generation (Borei-class) submarines since the late 1980s. Initial plans envisaged upgrading the D-19 missile system mounted on previous-generation (Project 941 Akula-class) ballistic missile submarines. 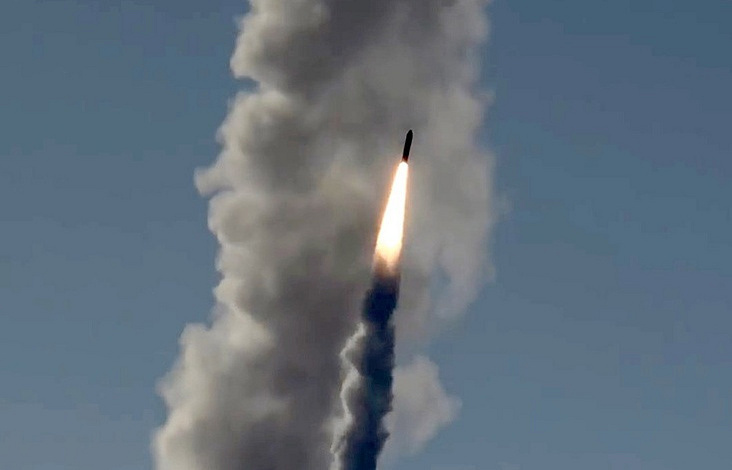 The work on this project was carried out by the Machine-Building Design Bureau (based in the city of Miass in the Chelyabinsk Region; currently, the Makeyev State Rocket Center), the traditional developer of submarine ballistic missiles. However, the first three launches of the new R-39UTTKh Bark missile failed. 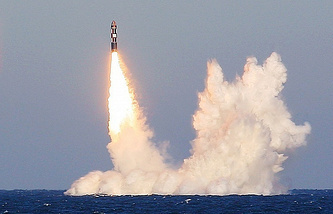 As a result, the Bark project was closed in 1998 and the design of the new submarine ballistic missile was assigned to the Moscow Institute of Thermal Technology, which previously specialized in land-based solid-propellant missiles (in particular, the Topol-M ICBM).